Happy #WebWednesday everyone! Last week, we hosted two webinars focusing on best practices in social media and digital marketing for hotels. In case you missed either session, we’ve published recaps of both webinars here on the Revinate Blog and encourage you to review them at your leisure. For this week’s #WebWednesday round-up, we’re sharing some social media resources that will be helpful for all hoteliers to be aware of. As always, we encourage you to engage with us on Facebook and Twitter and let us know what you think. How Local Businesses Can Leverage New Facebook & Foursquare Features tips for how local businesses can and should adapt to take advantage of the opportunities (as well as overcome the challenges) that these changes present. Study Says Twitter Is Fastest-Growing Social Platform in the World overall, 21% of the worldwide Internet population now actively uses Twitter on a monthly basis – or 288 million monthly users. L2 Digital IQ Index® of Hotels report benchmarking the digital competence of 57 Hotel brands on more than 675 data points across four dimensions: Site, Digital Marketing, Social Media, and Mobile. The State of Instagram [Infographic] helpful information for marketers to convince their stakeholders (or themselves) that Instagram is the next place to start engaging new customers. Pinterest may be worth $2 billion, but travel brands struggle to keep pace advanced-level Pinterest tips for marketers, first for larger brands and organizations — and then for smaller ones. Facebook Promotions: What’s Right for Your Brand? by understanding and defining the goal of your campaign, you can better decide which Facebook promotion is right for you. 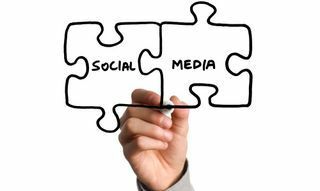 Top Social Media Mistakes, According to the Experts ten highly experienced social media strategists identify the top mistakes they see businesses making on social networks. Twitter Enhances Viewing Options For Photos, Videos and Related Tweets Twitter is also making it easier to view related tweets, making the channel more conversational.